Shown above is Vice President Jacob Richards, left, presenting the check to Care and Share Volunteer Arleen Rackliffe as Trustee Rick Teele, right, displays the group’s logo. RANGELEY - Freemasonry has a long tradition of supporting charitable causes worldwide. 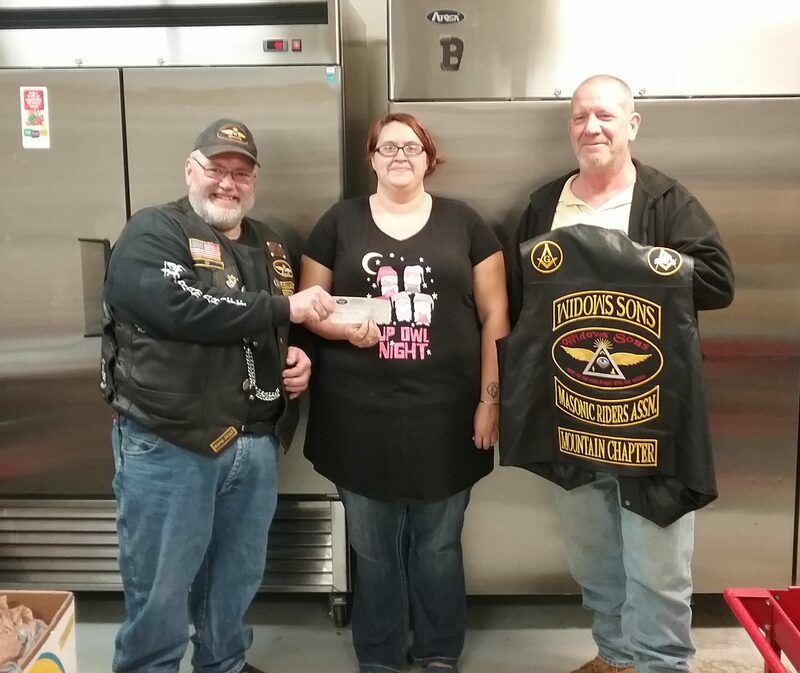 The Widows’ Sons Mountain Chapter of the Maine Masonic Riders Association continues that mission by donating funds to local food banks during the Holiday Season. On Nov. 5, Club President Eric Smith, Vice President Jacob Richards and Trustee Rick Teele presented a check to Care and Share Food Closet in Farmington. That gentleman on the left happens to be our President Eric Smith. If anyone is ever in need don't hesitate to reach out. Very impressed with the work the Food Closets do and all of the families they support.